Side position: Flip down, unhook, and swing to the side. 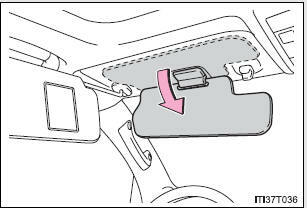 Side extender: Place in side position, then slide backwards. 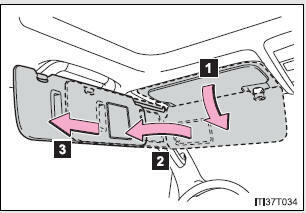 Flip down with the main sun visor in position 2 or 3.